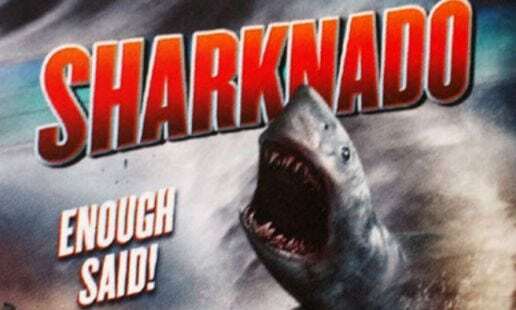 HomeNewsA ‘Sharknado’ documentary is on the way, and you can be in it! Do you love Sharknado? Of course you do, and now SyFy are giving fans the chance to express their love of the B-movie phenomenon by being part of a documentary. The press release below has all the details you need to be part of this big event. The Asylum is producing the first-ever feature-length film about the Sharknado phenomenon, and fans have the chance to be part of it! The producers of the Sharknado film series are calling for fan video submissions to be judged for inclusion in their yet-to-be-named campy new film about the Sharknado franchise, the surprise phenomenon that first captured the public’s attention in 2013. The film will be a no-holds-barred, hands-on look at the making of Sharknado 3: Oh Hell No! as well as a retrospective celebrating the rise of Sharknado and Sharknado 2: The Second One and how the franchise became a cultural juggernaut. The film will feature new in-depth interviews with cast and filmmakers, as well never-before-seen footage from the set. And it will explore why and how people respond to the films, which is where the fans come in: Eligible video submissions will be included in the documentary to illustrate just how rabid Sharknado fans can be. The official Sharknado companion film will be released by Cinedigm in summer 2015. Sharknado3 will air on Syfy on July 22nd. All submissions are eligible for inclusion in the official Sharknado film and other media related to Sharknado 3. One first-prize winner will also be awarded $250! Submission rules are below. Complete submission rules can be read here. A. Video proof that you’re the biggest fan of Sharknado! Please prepare a short clip explaining or showing why you are the biggest Sharknado fan. Show off your original costume, song, dance, video, or work of art. Did your family record your freakout when Sharknado 2 aired on Syfy? Do you have a slideshow of your wild Sharknado viewing party? Do you just need to film yourself explaining why you love it so much? Submit it! B. A video of you answering 5-10 of the following interview questions. 1. Who do you want to see die in a Sharknado film and why? 2. 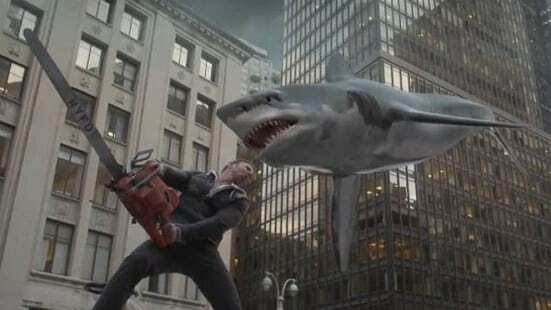 What city would you like to see a Sharknado destroy and why? 3. How would you like to die in a Sharknado? 4. What weapon or strategy would you use against a Sharknado? 5. What other animal hybrid storms would you create if you had the chance? 6. What’s your favorite scene from the films? 7. If a shark took your hand, what would you replace it with? 8. Who would be the first person you would save? Who would be the last? 9. Who would you like to see have a cameo, and do you want them to survive or die? 10. What would be your catchphrase? 11. Which Sharknado character would you like to dress up as—or be? 12. What was your first experience with Sharknado? 13. What made you want to watch? 14. Sing the Ballad of Sharknado. C. Recreate a 2-minute scene – WITH NO ACTORS. What’s your favorite Sharknado moment? Fin slicing his way out of a Great White? April getting her hand bitten off? Create a short scene (under 2 minutes). The only rule is: you can’t use any human actors on screen! Voices and dogs are okay. Please prepare your videos in a 16:9 ratio and (if you’re using a smart phone, that means hold it horizontally, not vertically). Send them to contest@theasylum.cc via Hightail, Dropbox, or other safe file-sharing service along with an email containing your name, contact email, and mailing address. Do not attach full, uncompressed videos to an email. All submissions are due by 5:00pm PST on April 15th, 2015. By submitting, entrants grant The Asylum permission to include their submission in the Sharknado 3 documentary and in any other media. Entries that fail to adhere to these rules will not be considered.